The Geometry Collective at Carnegie Melon University has released a free open source application called Boundary First Flattening (BFF) that allows for UV mapping with free-form editing of the flattened mesh. “direct control over the shape of the flattened domain—rather than being stuck with whatever the software provides. 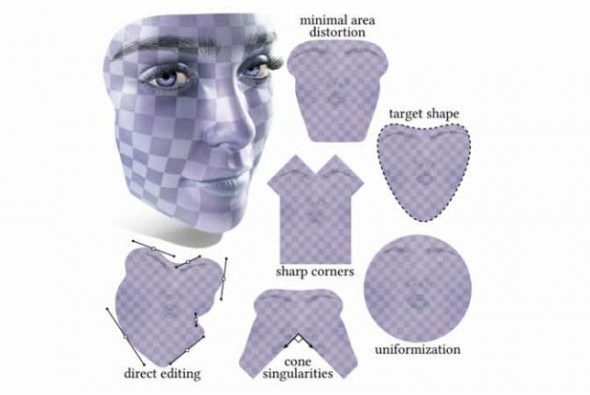 The initial flattening is fully automatic, with distortion mathematically guaranteed to be as low or lower than any other conformal mapping tool”. BFF also employs cone singularities for flattening which the authors claim can dramatically reduce area distortion, and facilitate the creation of seamless maps. Learn more about Boundary First Flattening on the Geometry Collective website and download or fork the project on GitHub.